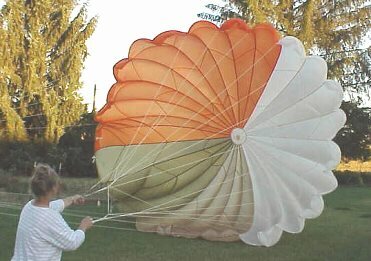 ITEM: 10114: 1030-28 FOOT - NO LINES, Air Force gov't surplus issue 28' diameter Ripstop 4-color parachutes - Colors by panel: 10 White, 10 Orange, 4 Olive Green, 4 Sand. Cords are cut at the canopy skirt, No rips or tears. Makes a decoration cover awning, and for shade, clothing, jackets, lower a ceiling or Aircraft hanger to keep that dust and bird crap off your airplane. @560 square feet of fabric. 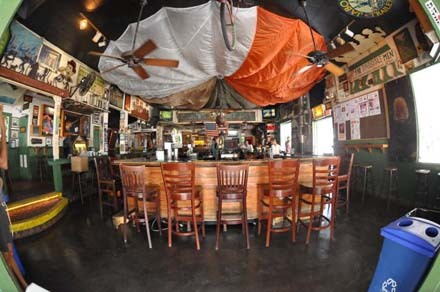 10 Orange, 10 White, 4 Tan (Sand) & 4 Green Panels... Great for Canopy... No Lines... We are selling this parachute for Decoration Only... Makes a decoration cover awning, and for shade, clothing, jackets, lower a ceiling or Aircraft hanger... $250.00 No Lines. Shipping included within the U.S. Shipping Wt 12 Lbs Please add Shipping.